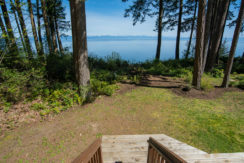 West Coast Waterfront! 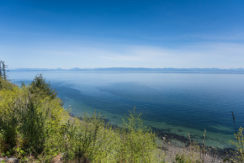 Stunning panoramic views of the Georgia Straight with snow-capped Coast Mountains beyond. 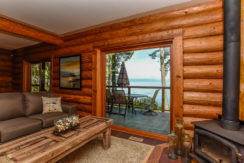 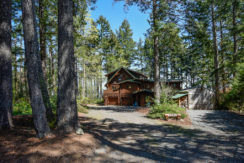 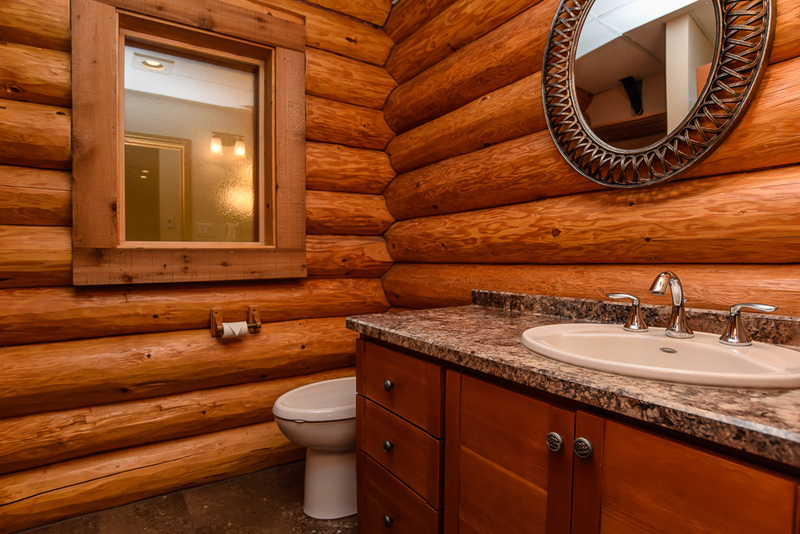 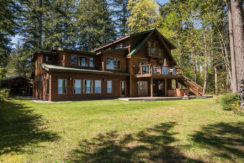 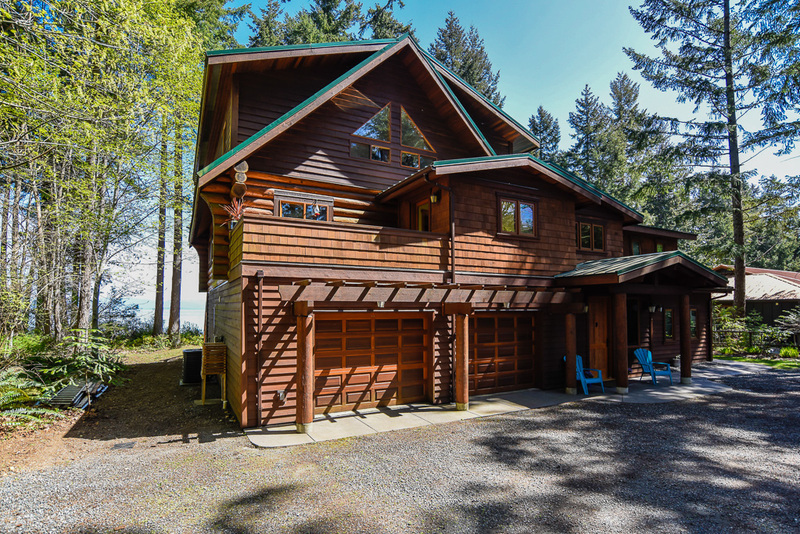 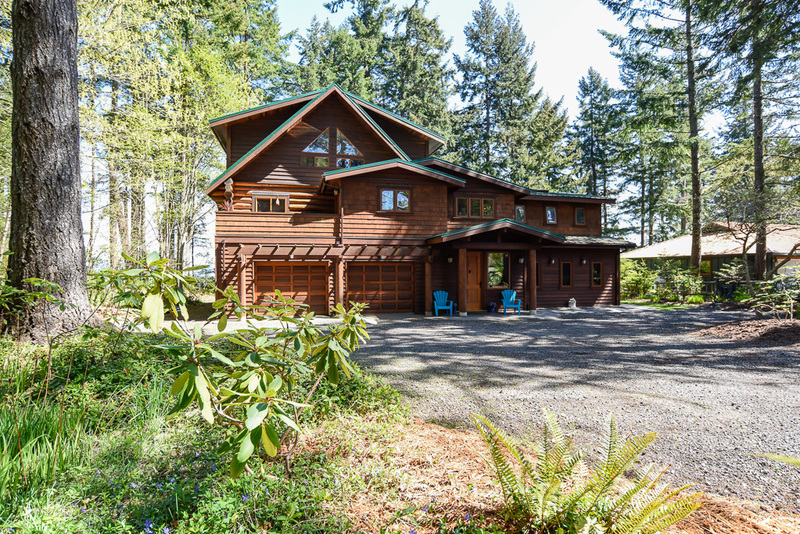 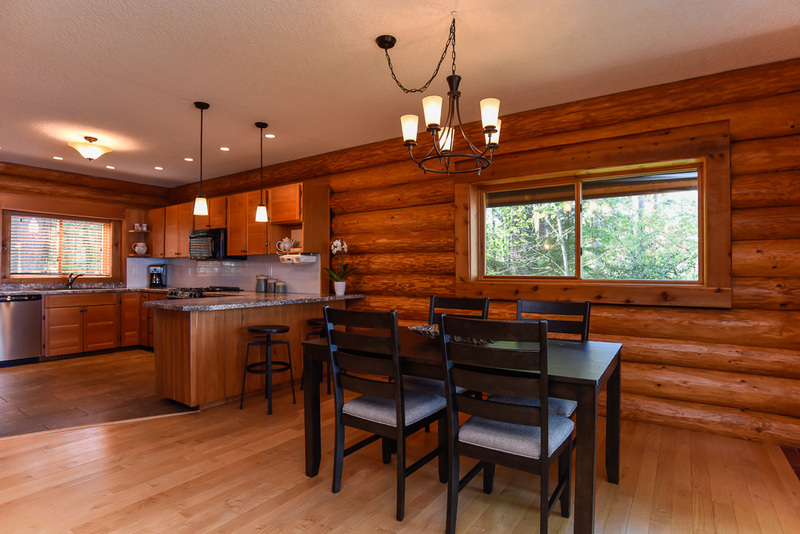 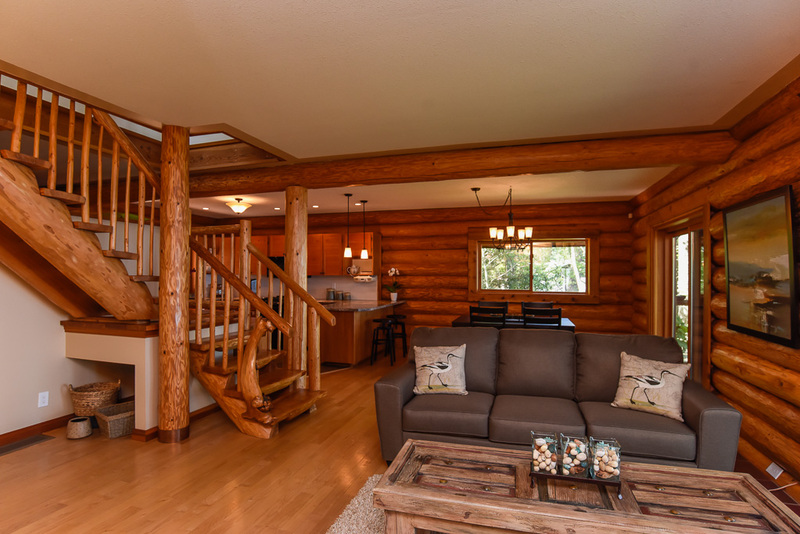 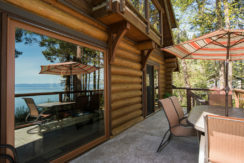 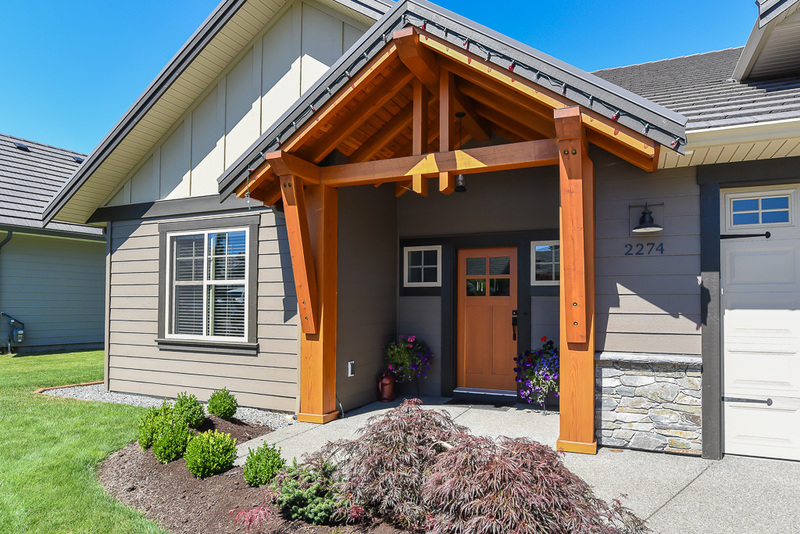 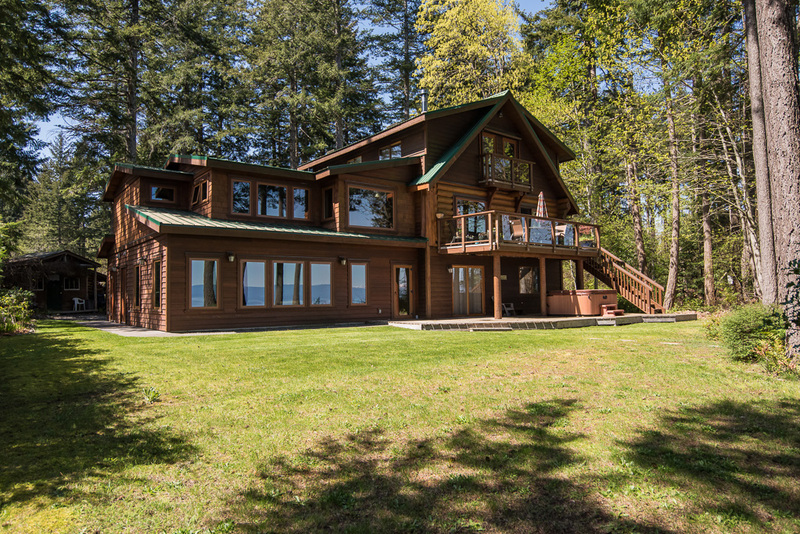 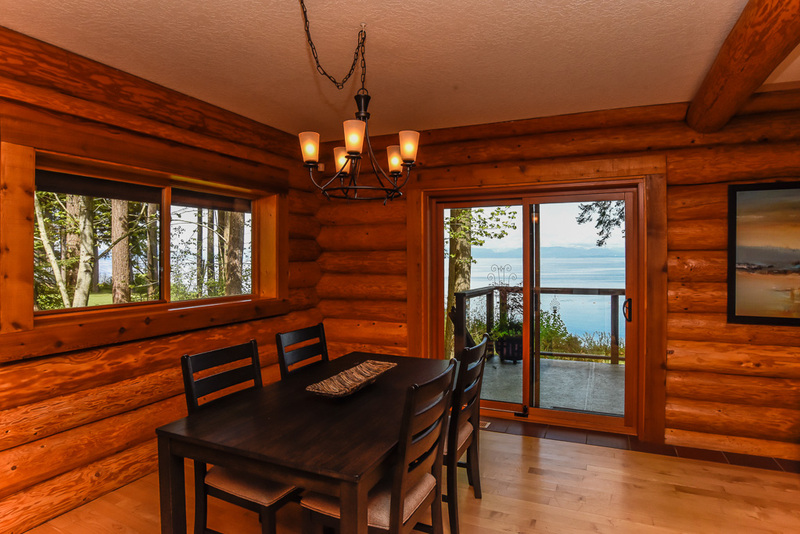 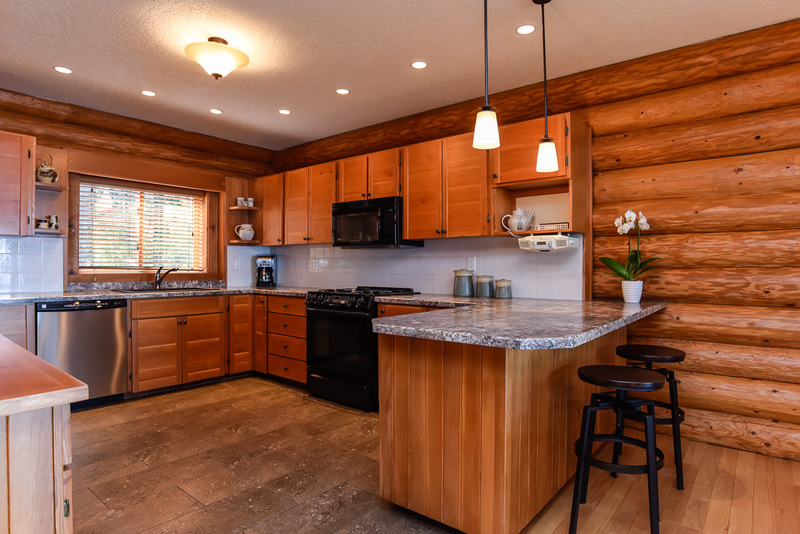 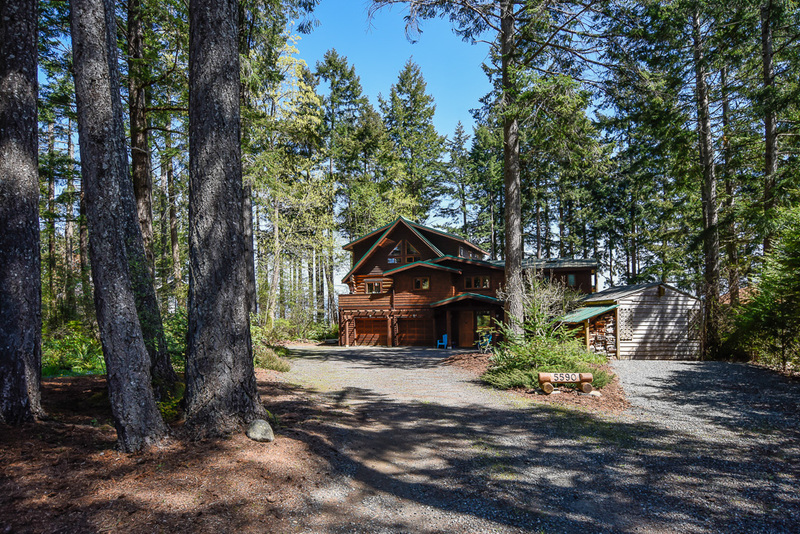 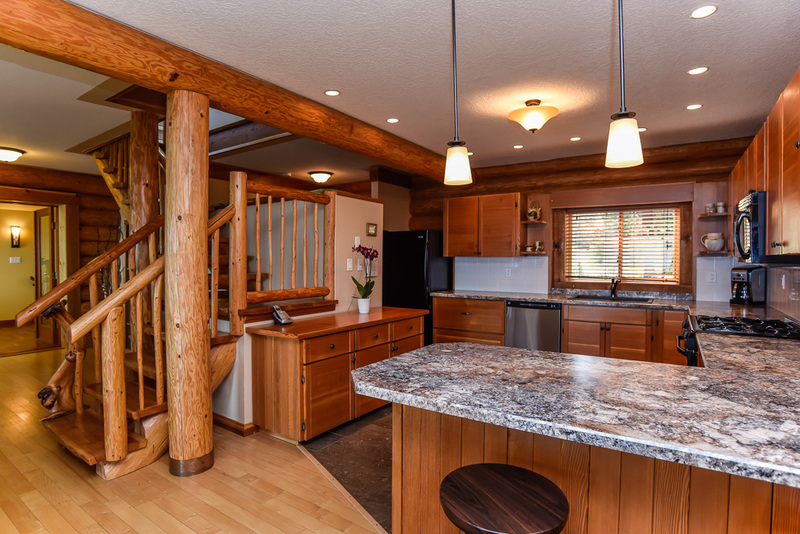 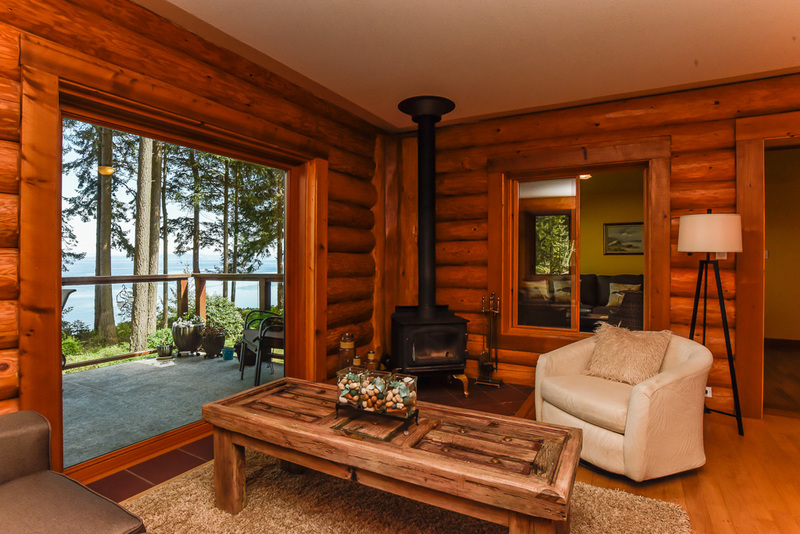 Exquisite craftsmanship blends contemporary architectural details with traditional log home construction. 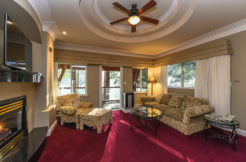 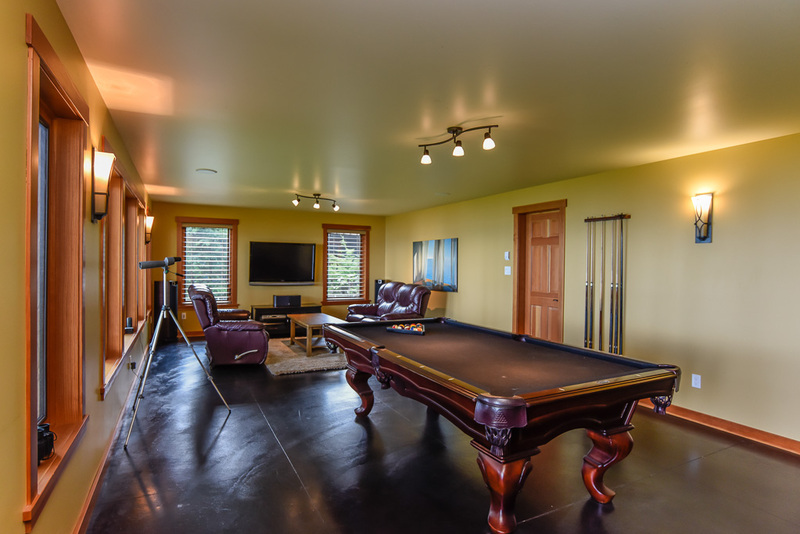 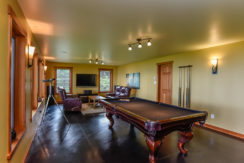 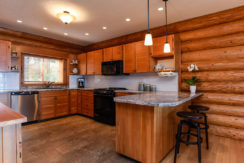 Custom renovations in 2009 include a major addition with true West Coast styling for a total 3,710 sf, 4 BD/ 5 BA, plus den, sunroom, rec room w/ pool table, including in-law suite on the main level w/ murphy bed, & easy access to the covered hot tub. 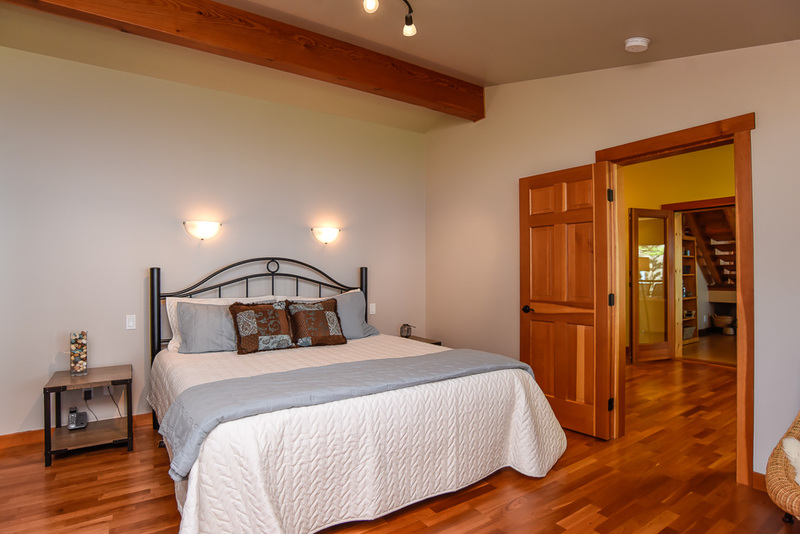 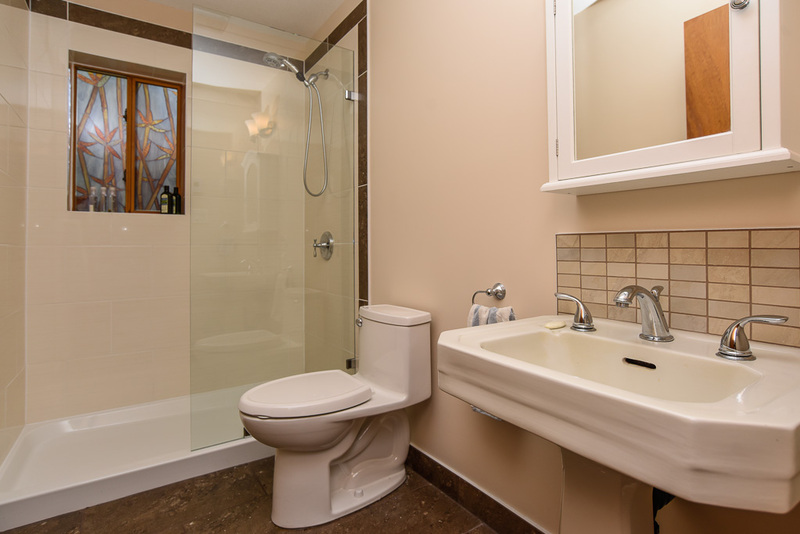 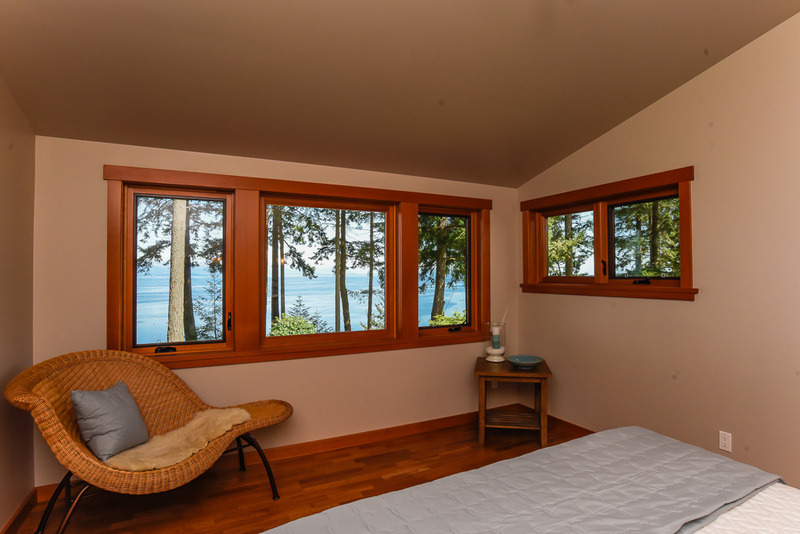 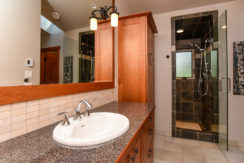 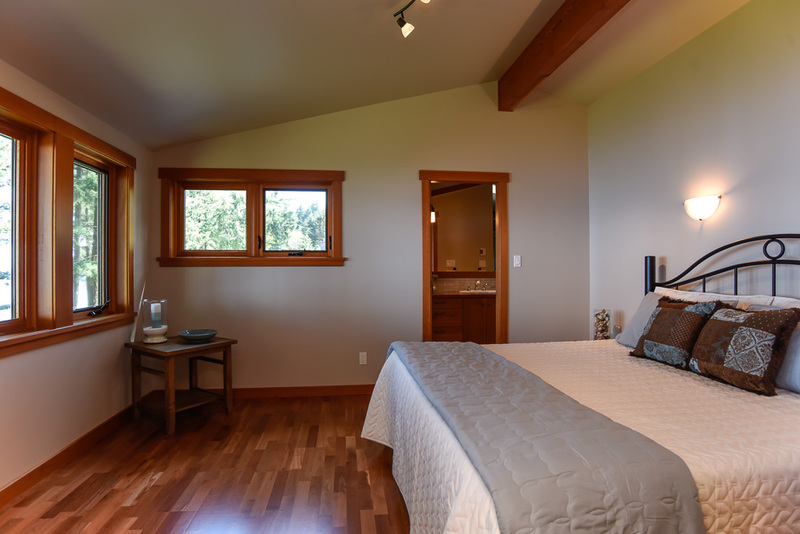 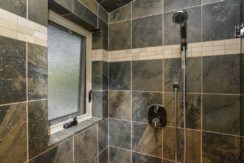 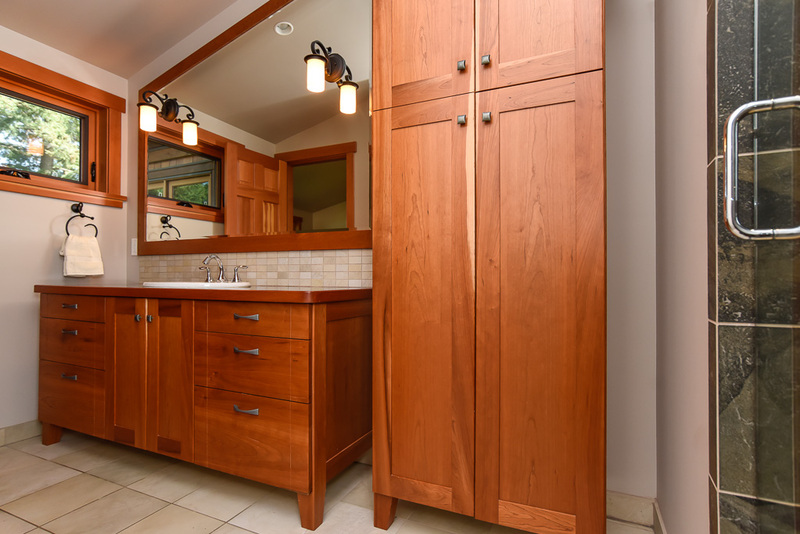 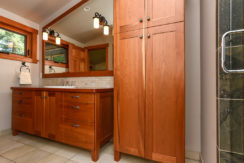 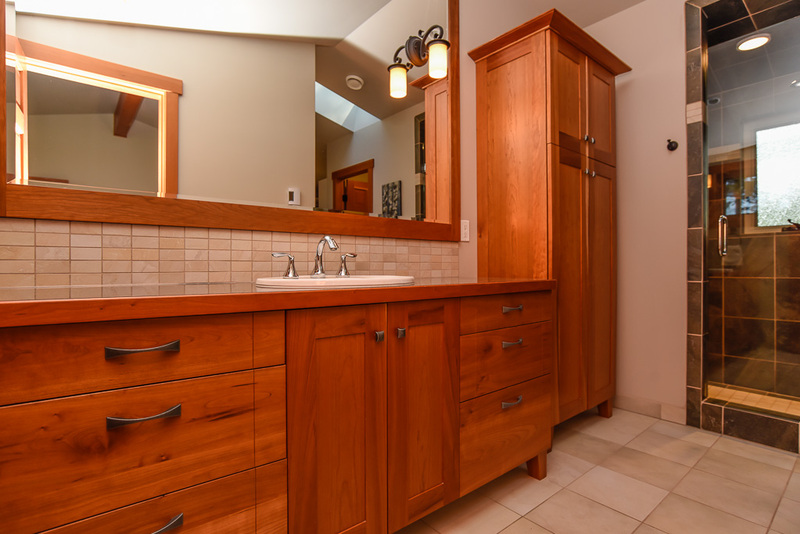 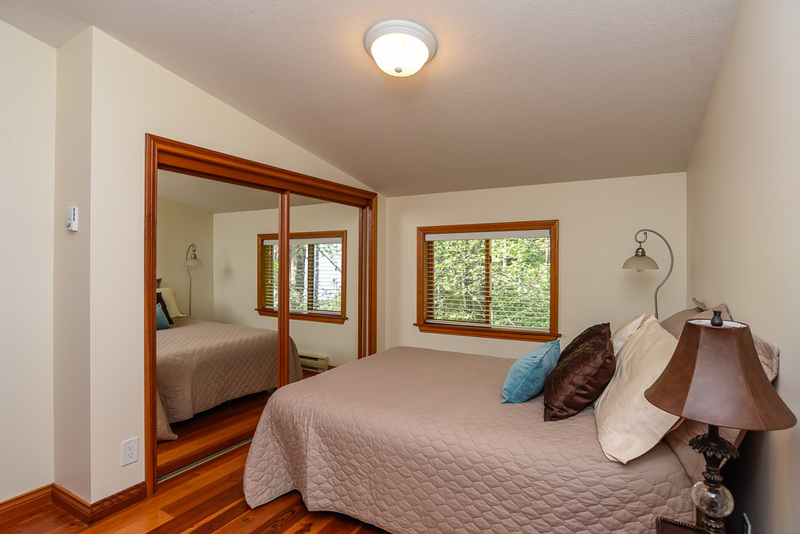 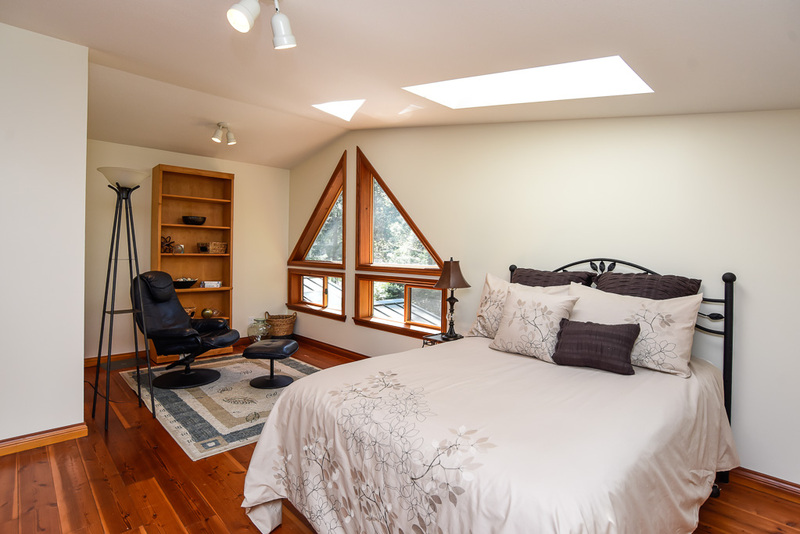 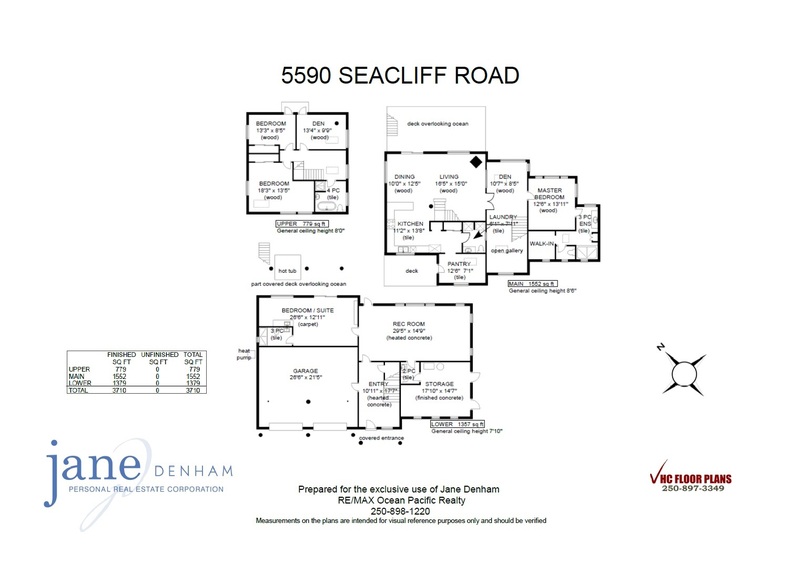 Master bedroom offers privacy, luxury & serene views, ensuite w/ fir cabinets by Scott Ilott, glass & tile shower. 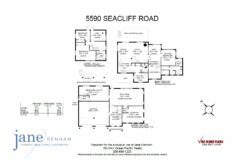 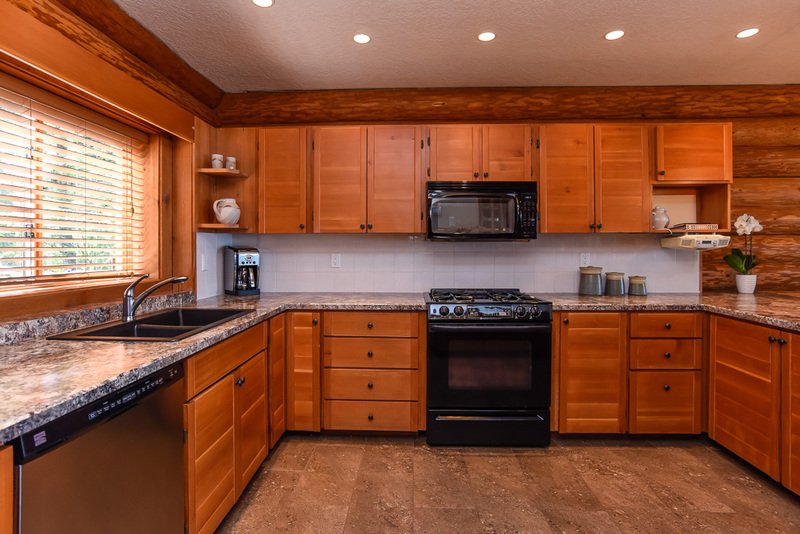 Designed for the discerning chef, the kitchen boasts a very large pantry w/ access to front BBQ deck, fir cabinets, S/S appliances. 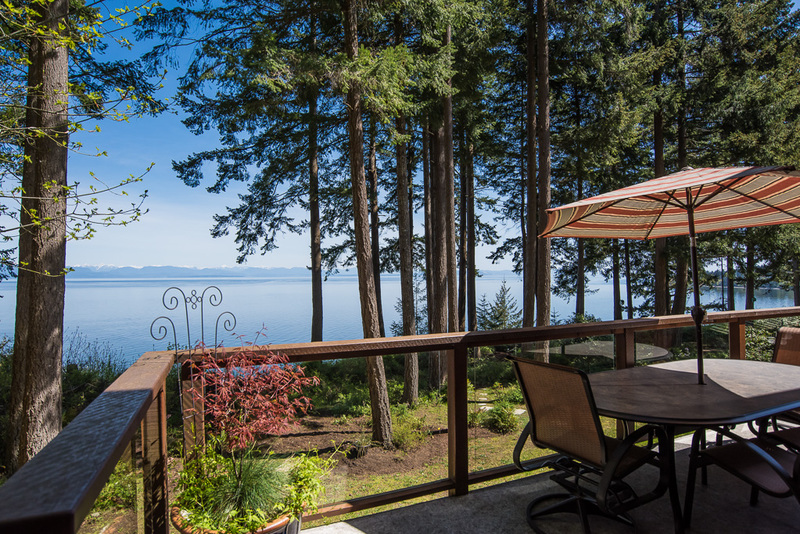 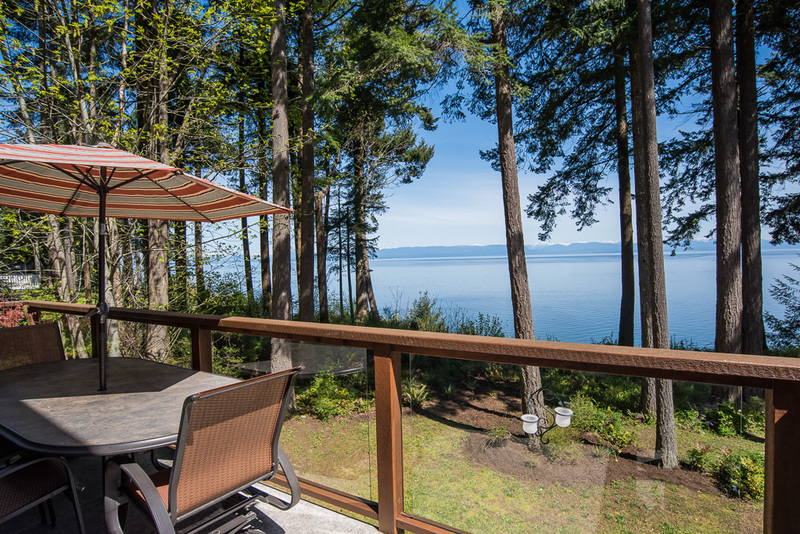 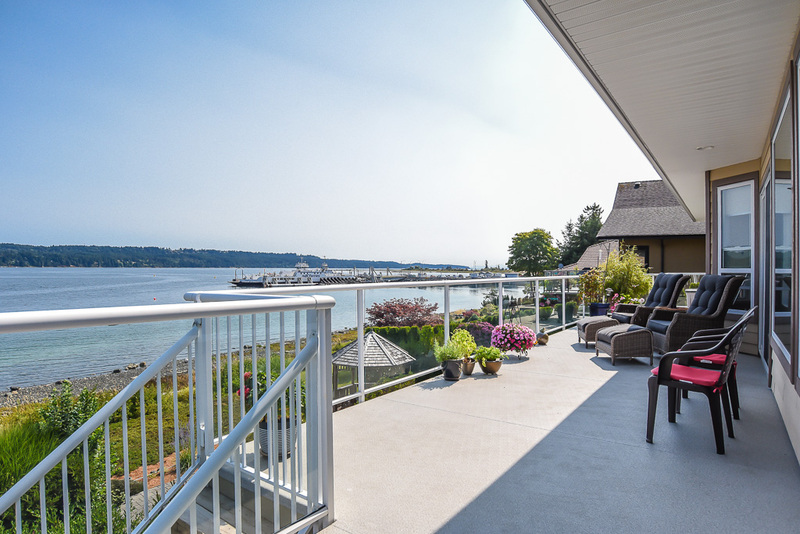 A large dining deck offers views & stairs leading to ‘the point’, watch the cruise ships, eagles & sea lions. 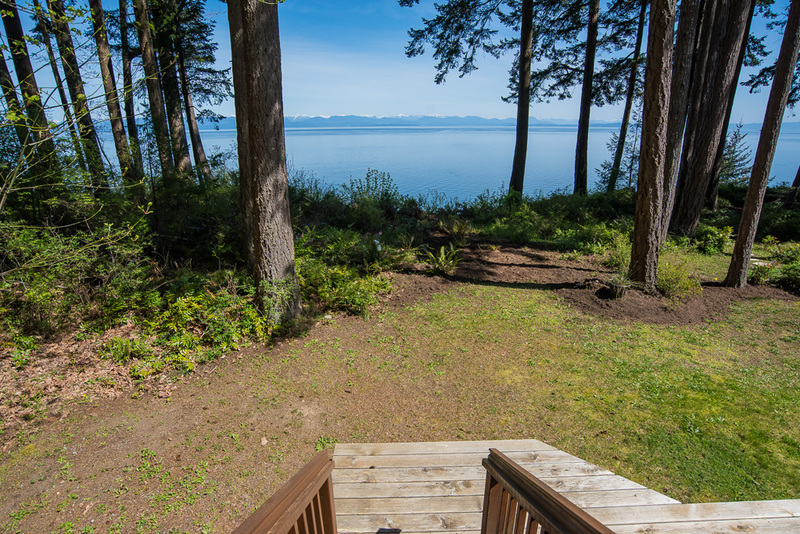 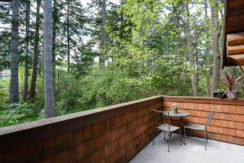 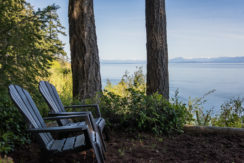 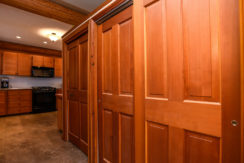 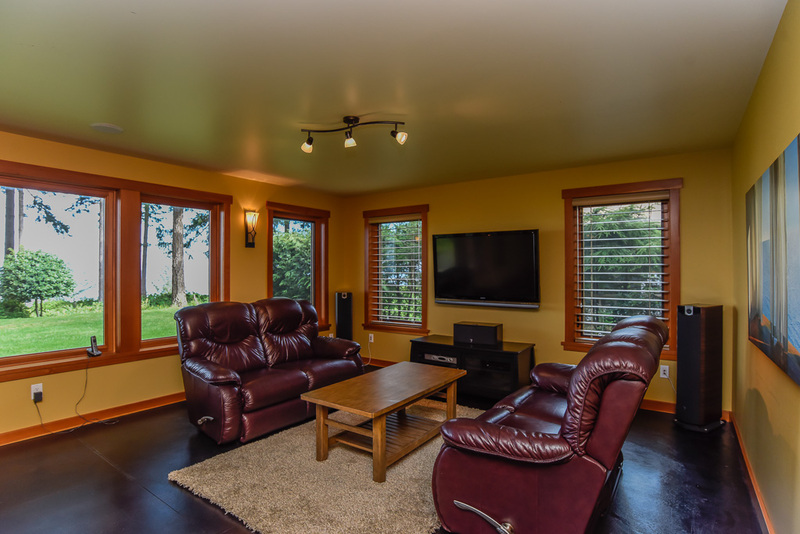 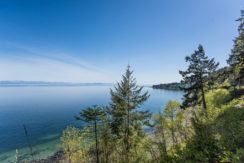 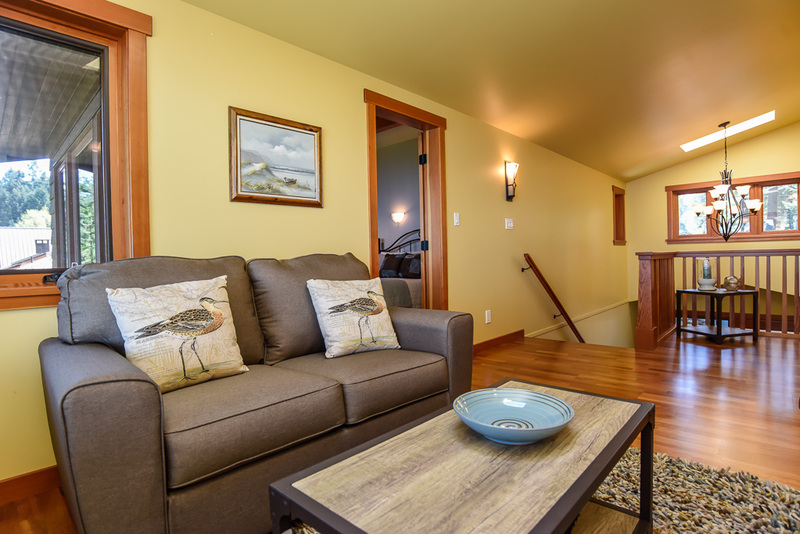 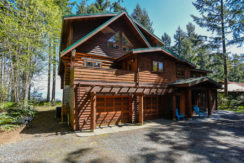 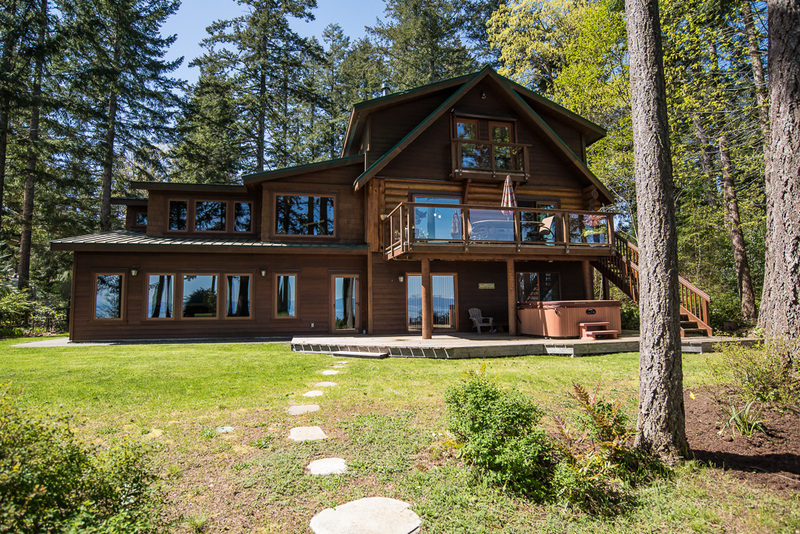 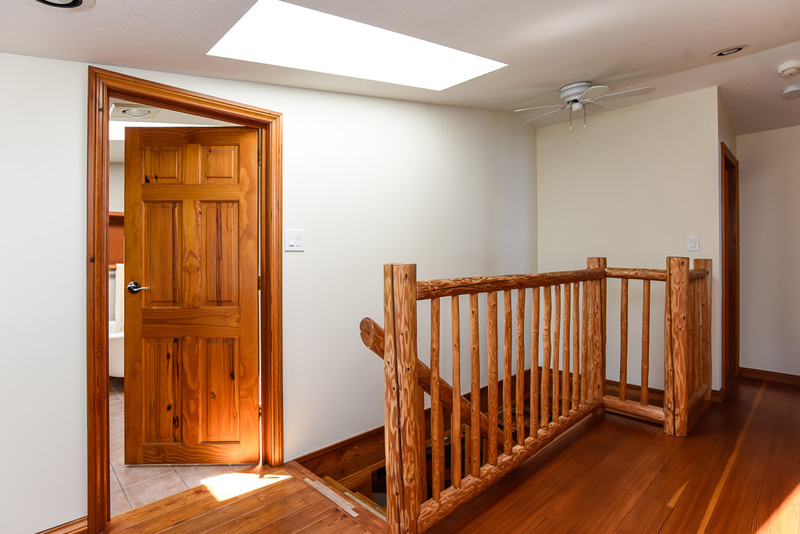 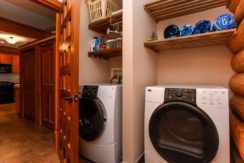 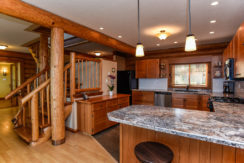 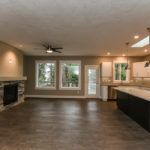 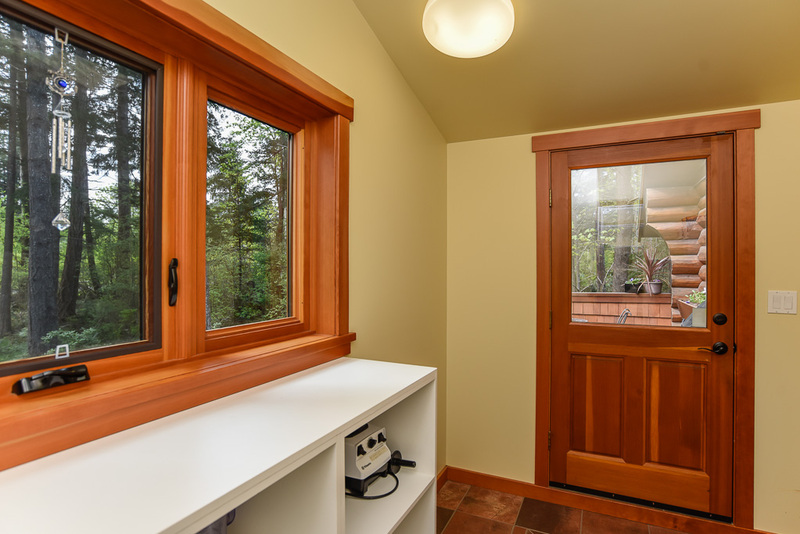 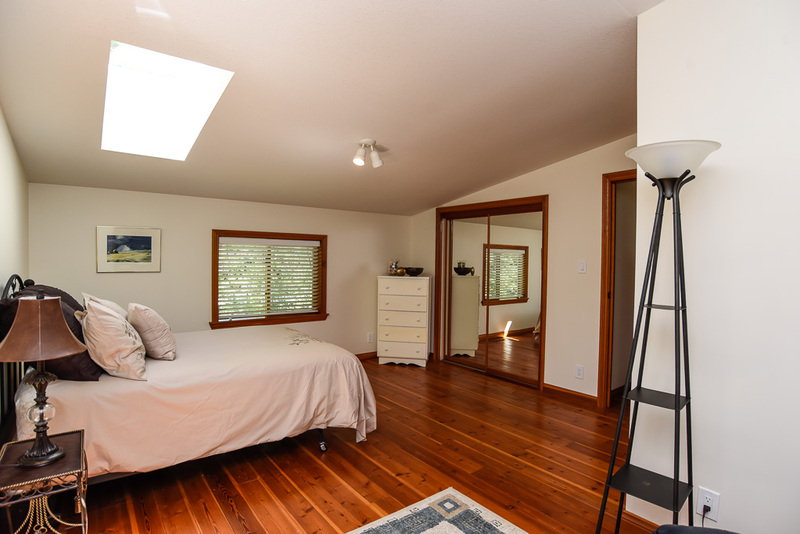 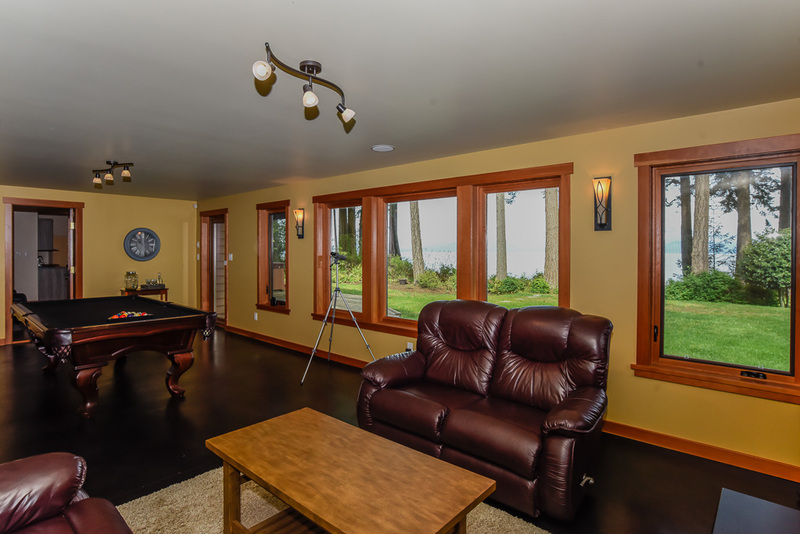 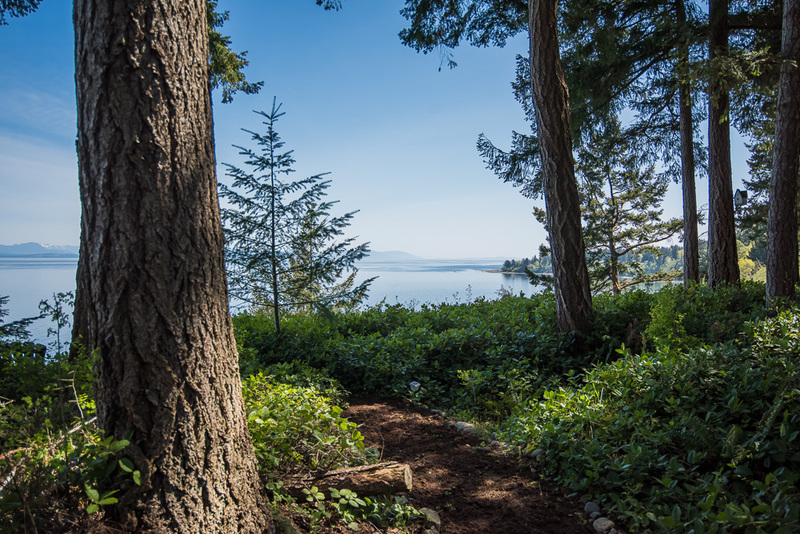 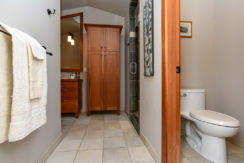 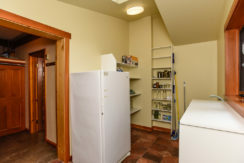 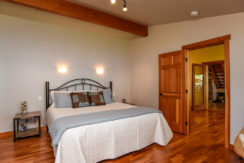 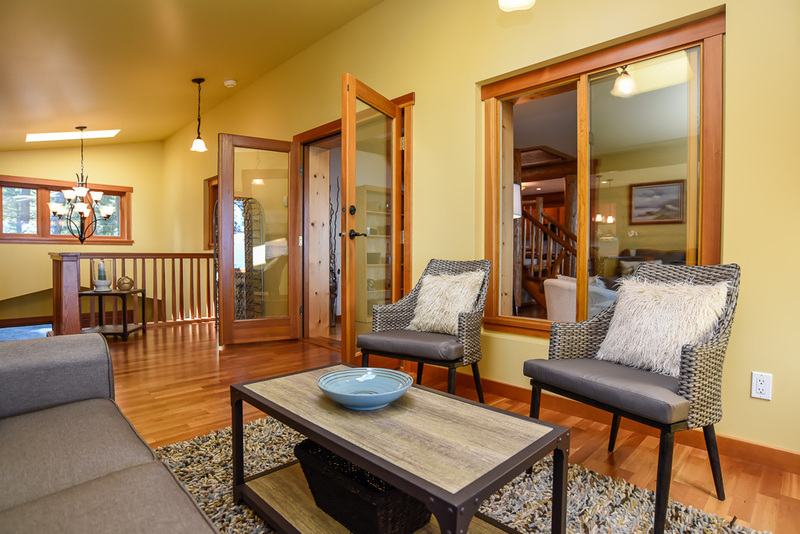 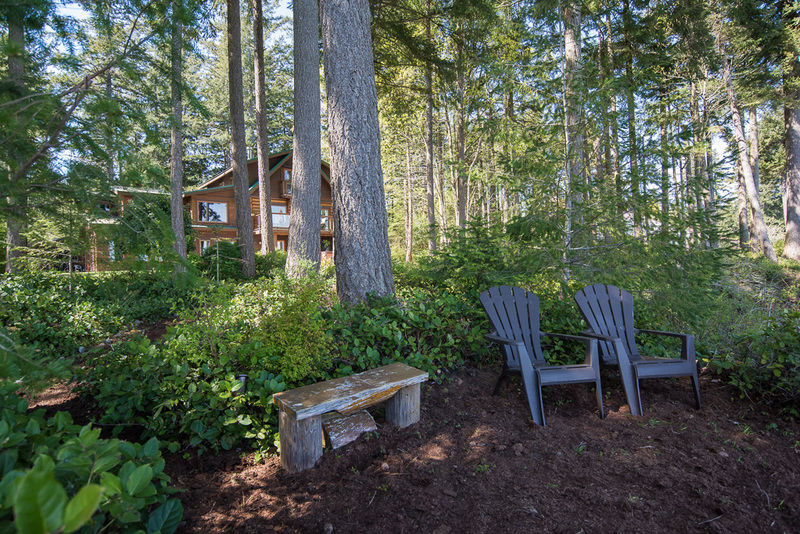 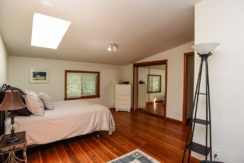 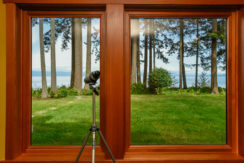 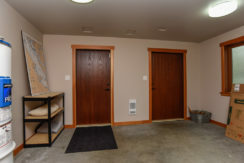 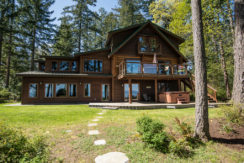 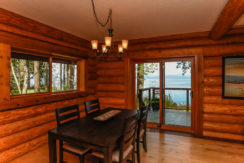 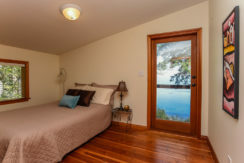 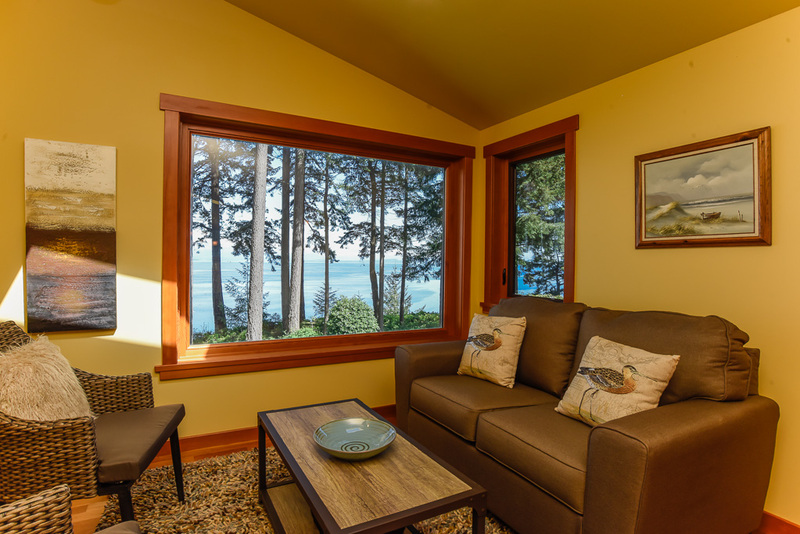 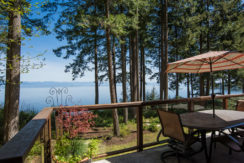 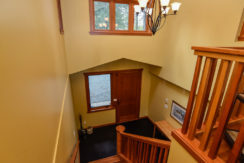 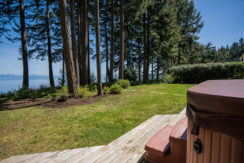 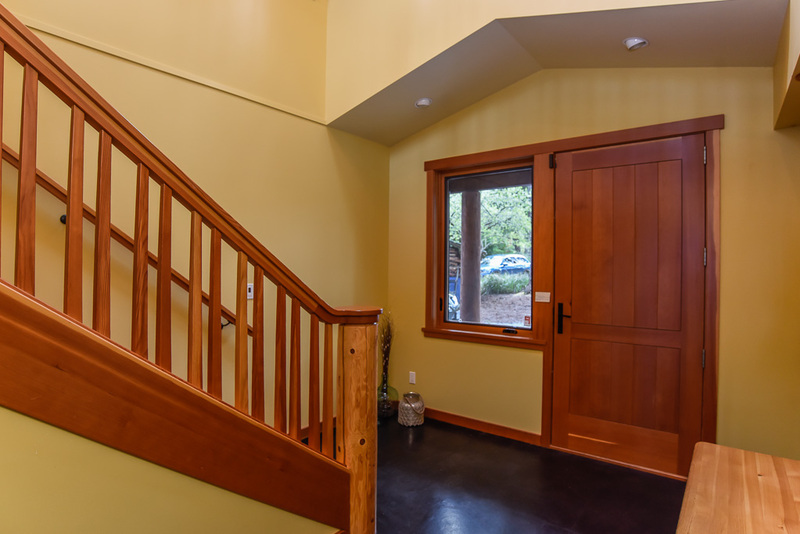 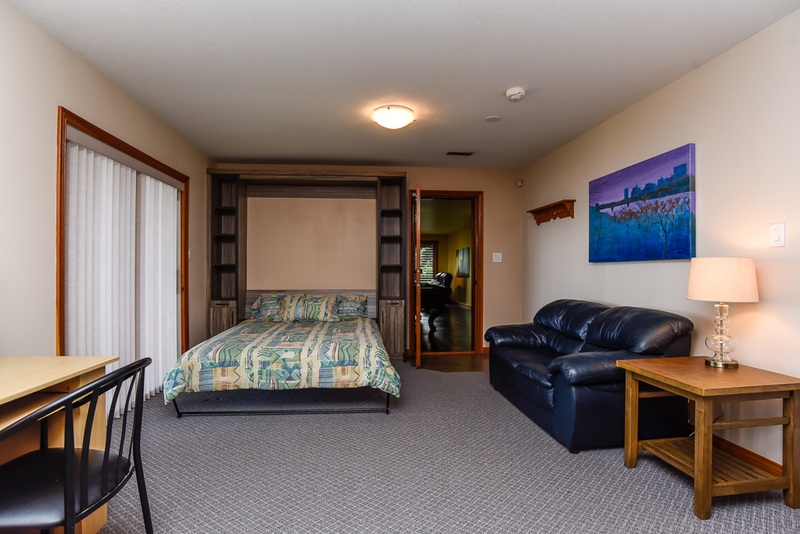 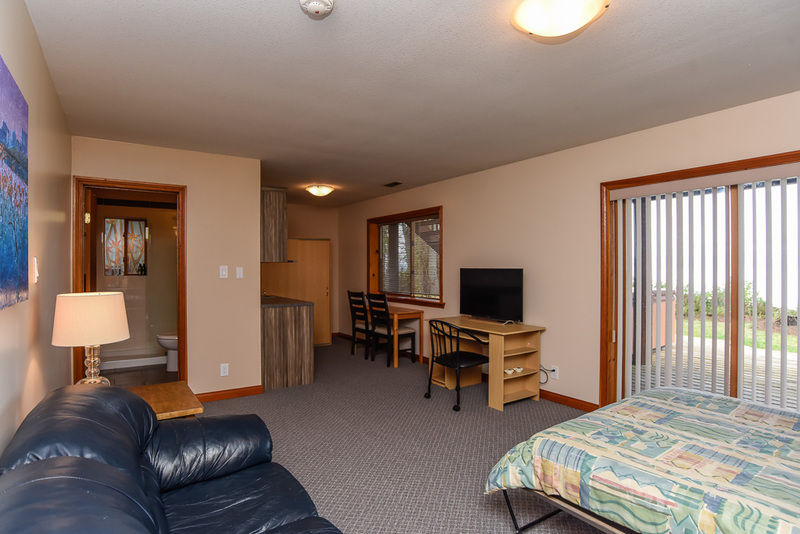 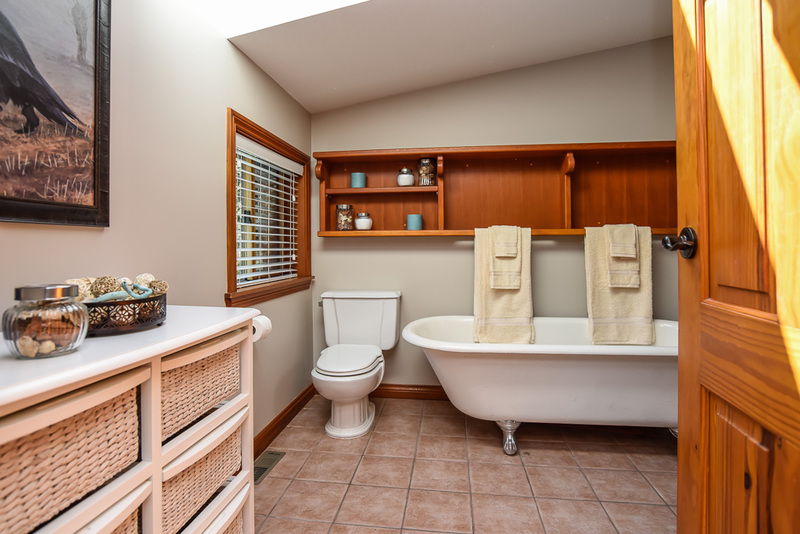 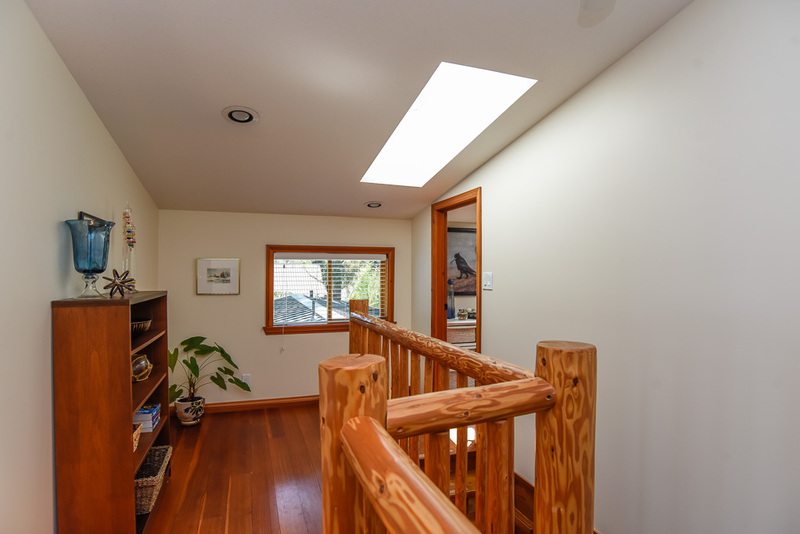 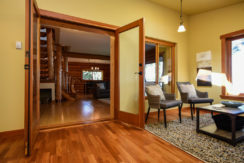 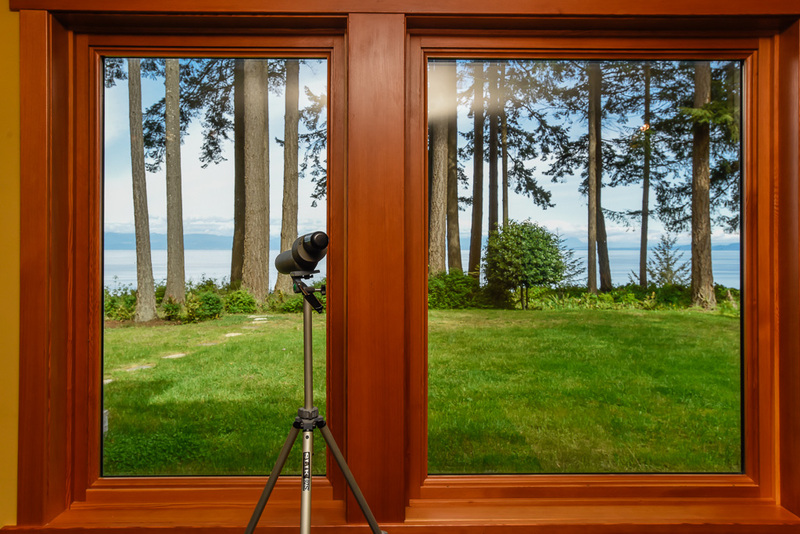 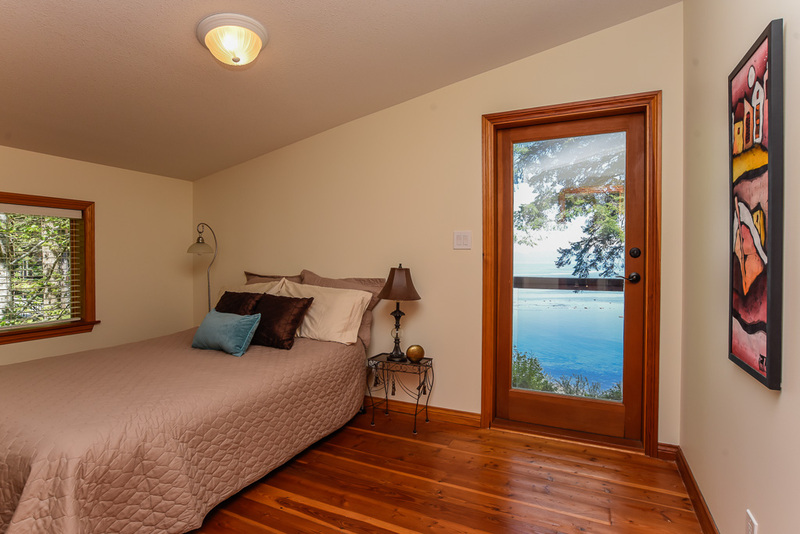 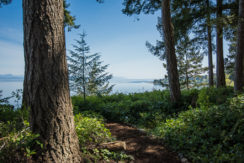 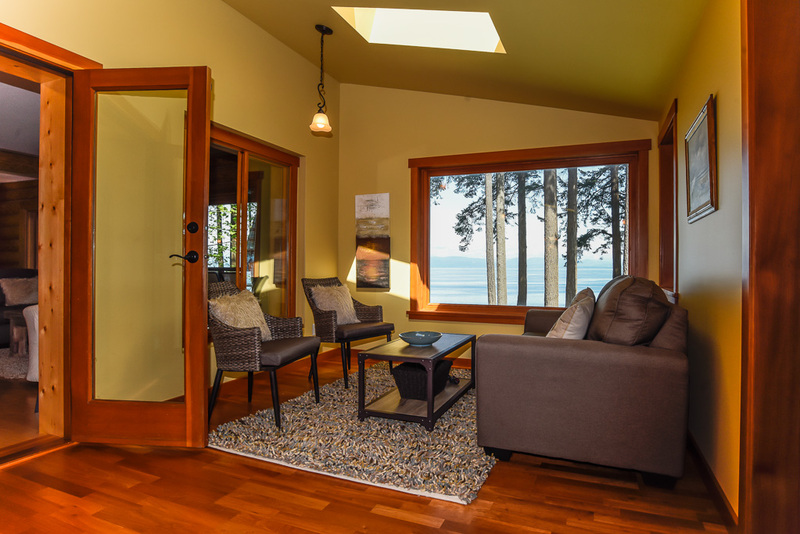 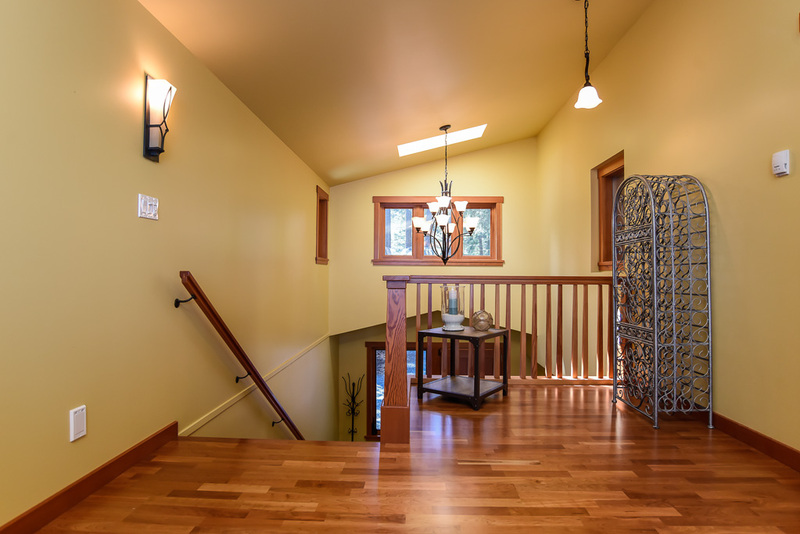 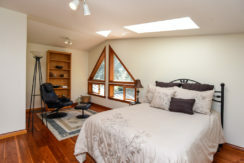 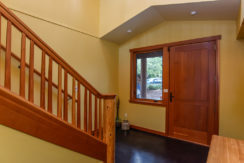 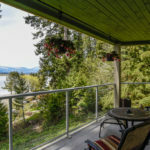 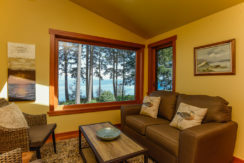 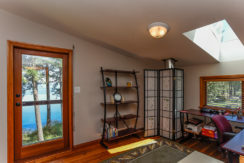 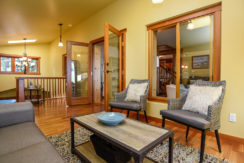 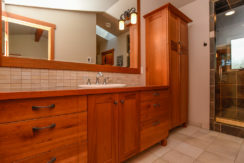 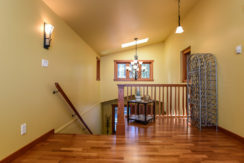 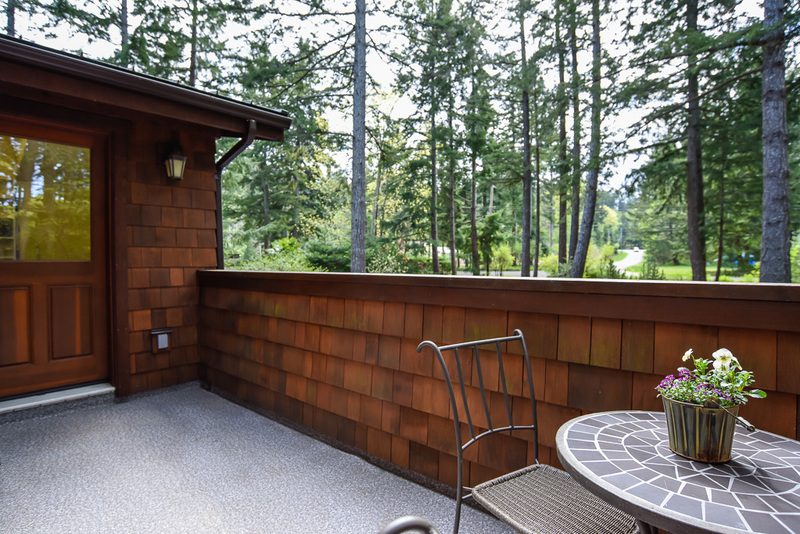 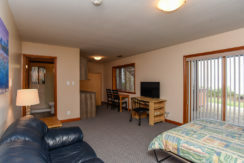 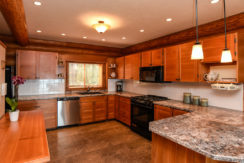 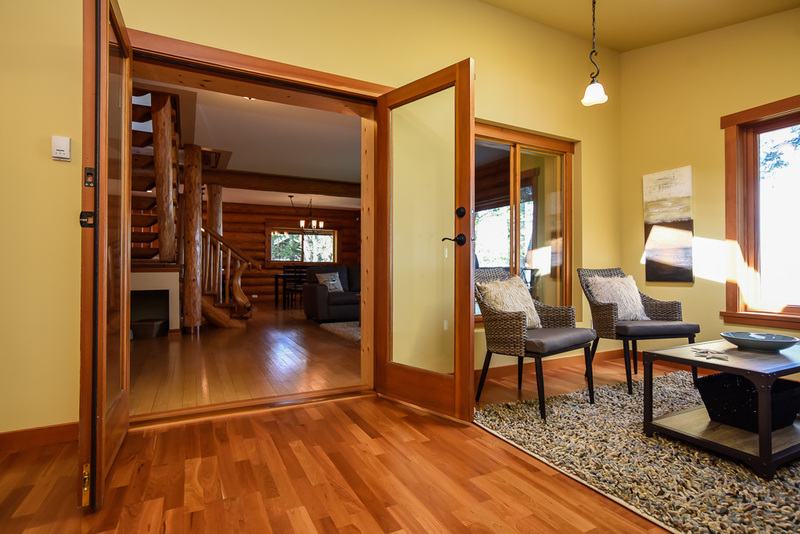 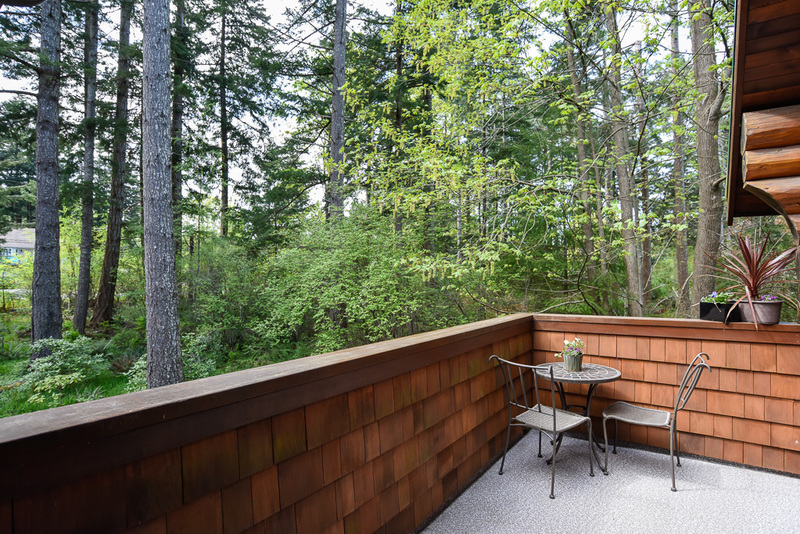 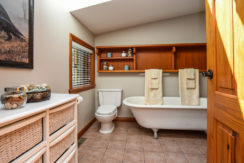 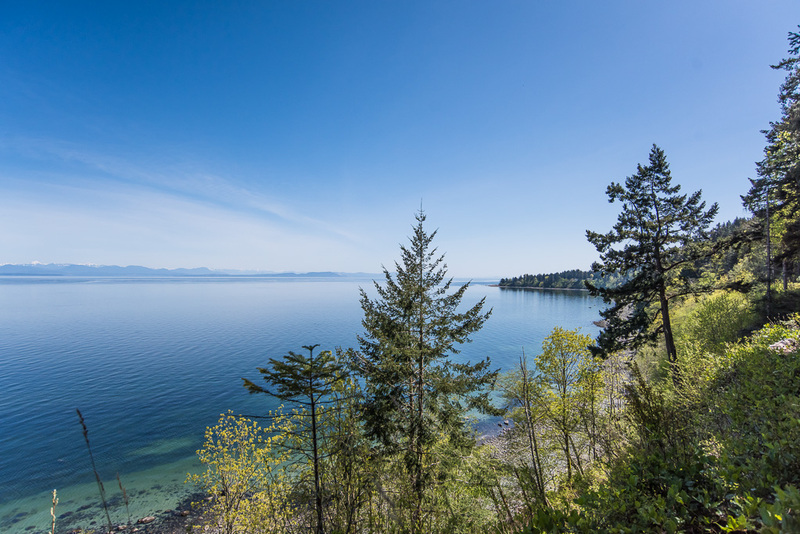 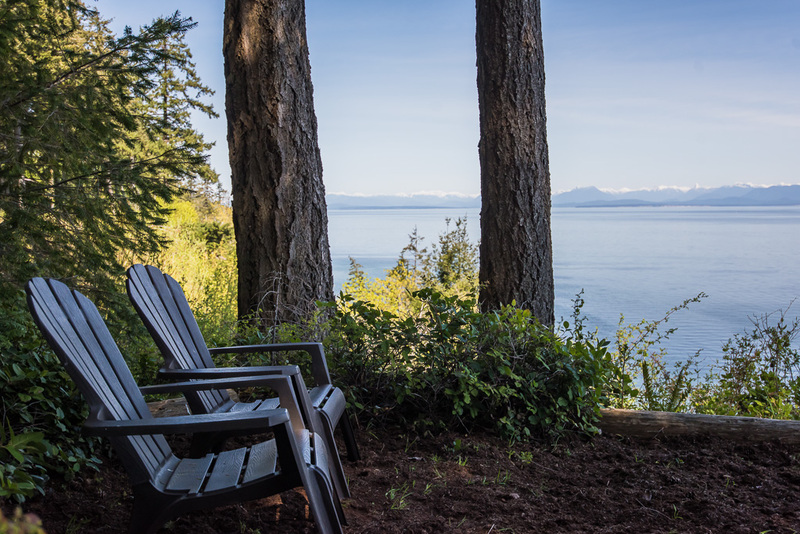 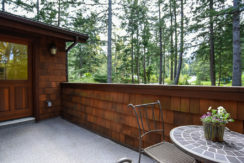 In floor radiant heating, cozy woodstove, & Heat Pump (2009), 2 h/w tanks, septic 2009, 1 block to Seal Bay Park trails & beach access, 10 min to shops & new hospital.